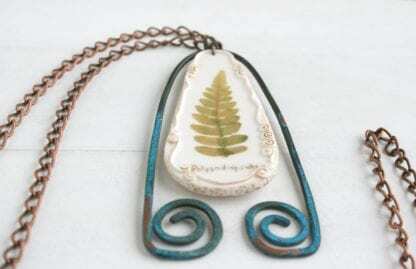 OOAK real flower necklace with a fern. Hand forged copper hand painted with a patina process with the beautiful blue patina. 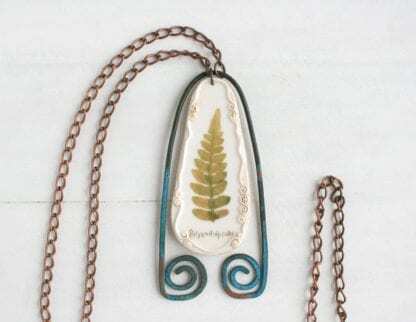 The copper details have stylish rustic texture. Surface is quality polished.